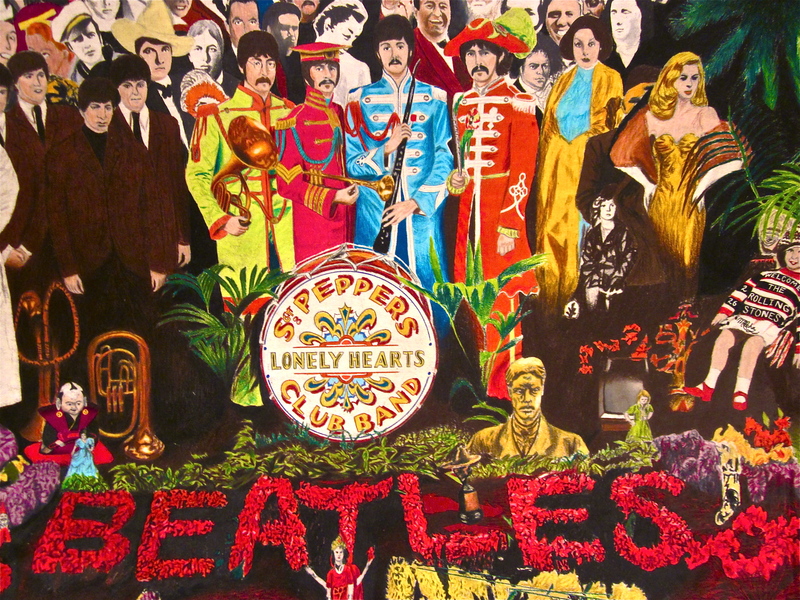 The Beatles Fan Art: The great art and death clues behind Sgt Pepper and Abbey Road. Many Beatle fans know the enigma surrounding the death clues in Beatles’ songs and album covers; but many never heard of such a myth. This is where the beauty of art and music connect. 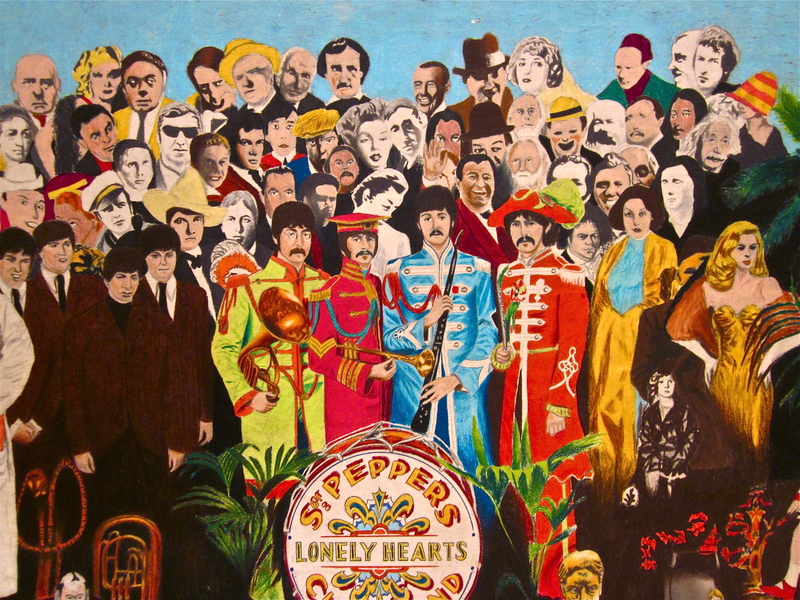 Sgt Pepper was no exception as clues where discovered. When I completed these drawings 11 years ago I was so intrigued by the mystery. One of those mysteries include : If you place a mirror covering the letters of the words “Lonely Hearts” it points at Paul McCartney as it reads “I ONE I HE DIE” (Claiming three Beatles minus one). It also resembles the grave of Paul McCartney. The hand over his head also displays a symbol of death. There are other clues as well; but Abbey Road (see below) is the most interesting of all. 1) Paul is out of the step of the other three. 2)He is holding a cigarette on his right hand when he is left handed. 6) THE MOST INTERESTING OF ALL ; HOW THEY ARE DRESSED : JOHN IS THE PREACHER, RINGO IS THE UNDERTAKER, GEORGE IS THE GRAVEDIGGER AND PAUL IS THE CORPSE. If you have any inquiries about our art, the artistic process, please feel to contact Martin M. Rocha at martinmrochaart@gmail.com. With Martin M. Rocha Art, a passion for art is truly in the details; Martin M. Rocha of MartinMRocha.com. This entry was posted on June 10, 2011 by martinmrochaart. 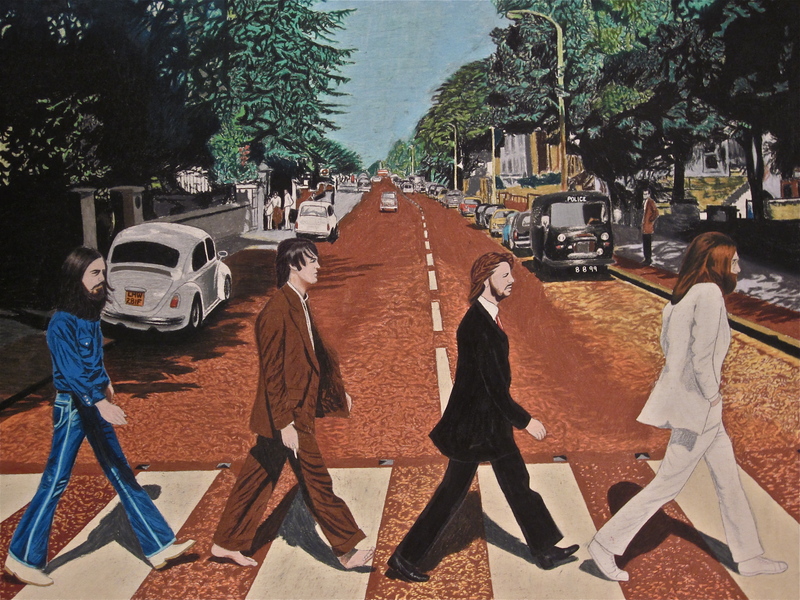 It was filed under Art by Martin M. Rocha, From the Vault / Retrospective, Latest Work and was tagged with Abbey Road drawings, Abbey Road in art, amazing art, art, Art and culture, art blog, art trends, Art work by Martin M. Rocha, artistic drawing, Artwork using colored pencils, Beatles, Beatles Art, Beatles drawings, Beatles in art, blogs about drawing, blogs that review art, Blogs that review art and music, Blogs that review rock roll, drawing, Drawing from photographs, Drawings of the Beatles, inspiration for drawing, inspiring artwork, Martin M. Rocha, Martin M. Rocha Art, new art blog, new artists, Paul McCartney drawings, Prismacolor, Sgt Pepper in art, The merging of art and music, www.MartinMRochaArt.Wordpress.com.